?Black-Miao? is one of many tribes within the ethnic Miao. 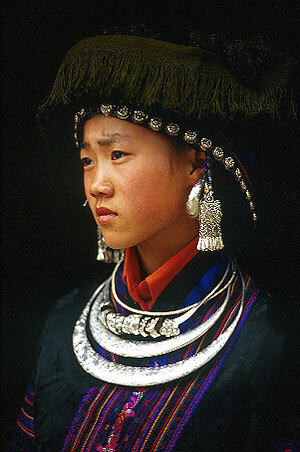 Mainly found in southwestern GuiZhou province, its costumes differ from other Miao tribes.